Another summer over with the tell tale signs in the garden of flowers fading, autumnal hues in the leaves, and cooler air as the nights are drawing in. One could get quite depressed as the blues set in and the temperatures drop. But hold on, bit of a pun coming up with the blues I’m afraid, in the garden, the flowering blues are stunning and holding on with late flower power! The mop head Hyrangeas have enormous cobolt blue flower heads in the woodland valley where the moist acid soil suits the Hydrangeas. Salvias have always been a good late season plant for colour, and within this group of plants there are some excellent rich blues that hang on right into November. 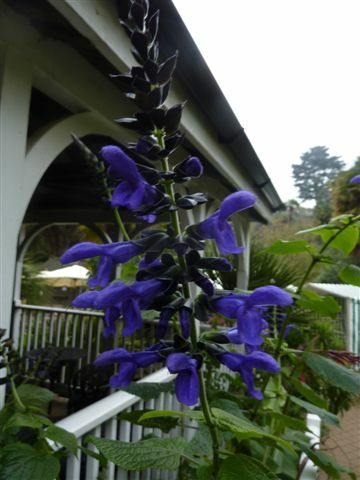 Salvia guaranitica gets to about 5′ ( 1.5m) tall and is looking good along side the entrance to the restaurant. 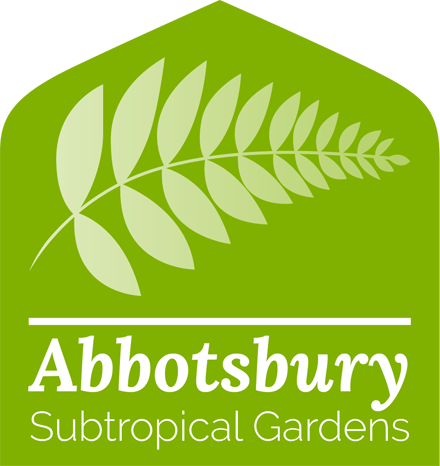 They originate from a wide geographical region in South America and have many differant cultivars in different shades of blue. Not far away is the even taller blue Salvia concolor, a native to Mexico which can get to 10′ (3m)!! Another Salvia species we grew this year is Salvia cacaliaefolia. This comes from the mountain province of Chiapas, Mexico and grows in other similar locations in Guatemala and Honduras. These have gentian -blue flowers through to late autumn,but I have noticed that its large triangulate leaves suffered from slug damage this year. But then so many plants were on the molluscs menu this year the little critters must have been celebrating the 2012 ” Year of the Slug” . previous post: Summer re-boots in September! !